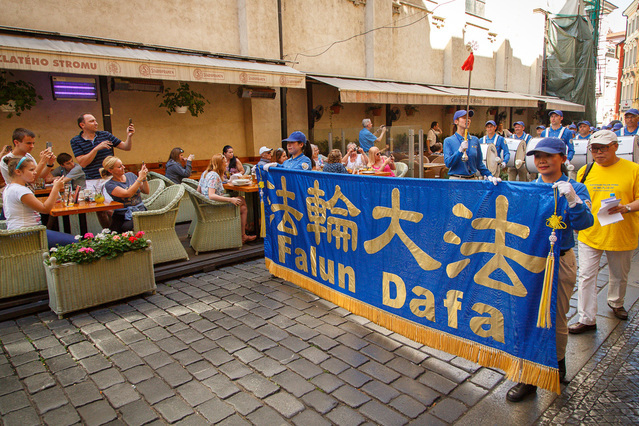 The European Tian Guo Marching Band visited the city of Prague on August 24, 2016, and assembled at Wenceslas Square before leading a parade through the historic city centre. Thundering drumbeats that could be heard from a distance drew many spectators. 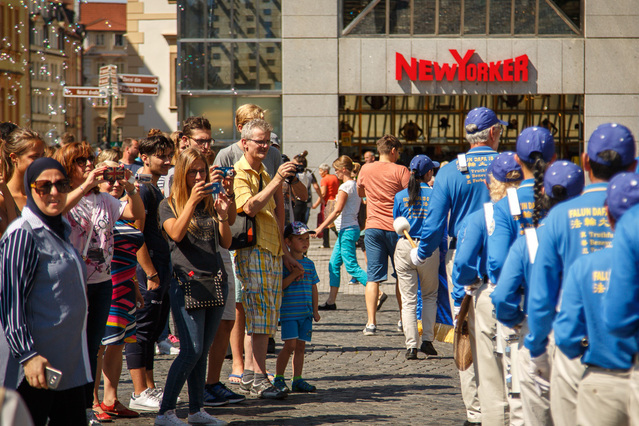 The parade passed many famous landmarks in Prague, such as the Old Town Square with its astronomical clock and the Charles Bridge, ending at the front gate of Prague's Castle, the residence of the Czech president. Many spectators didn't understand how it was possible that a cruel persecution like this could be taking place in the 21st century. The practitioners who handed out informational materials were able to provide more details in Czech, English, and Chinese. Many passersby gave their support and signed a petition condemning the persecution in China. 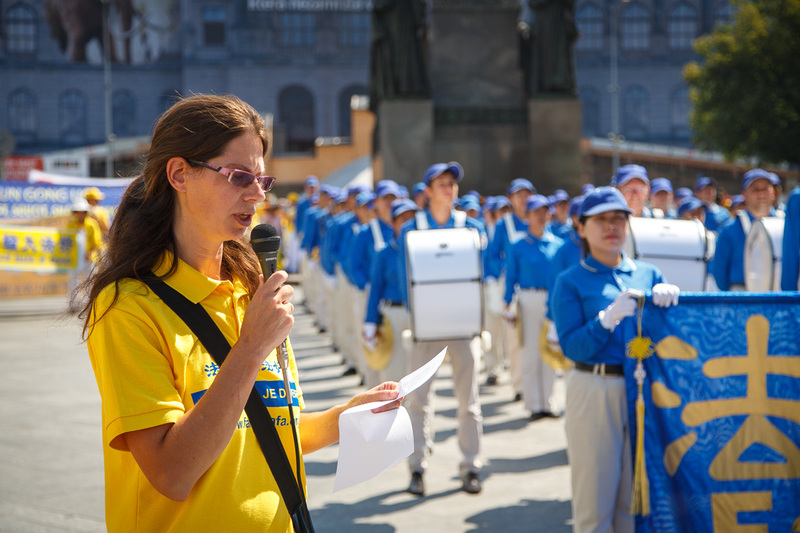 The band played several pieces, and local Czech practitioners read the letter in front of the Embassy. After an unsuccessful attempt to meet with the Chinese ambassador personally, they put the letter in the embassy's post box.